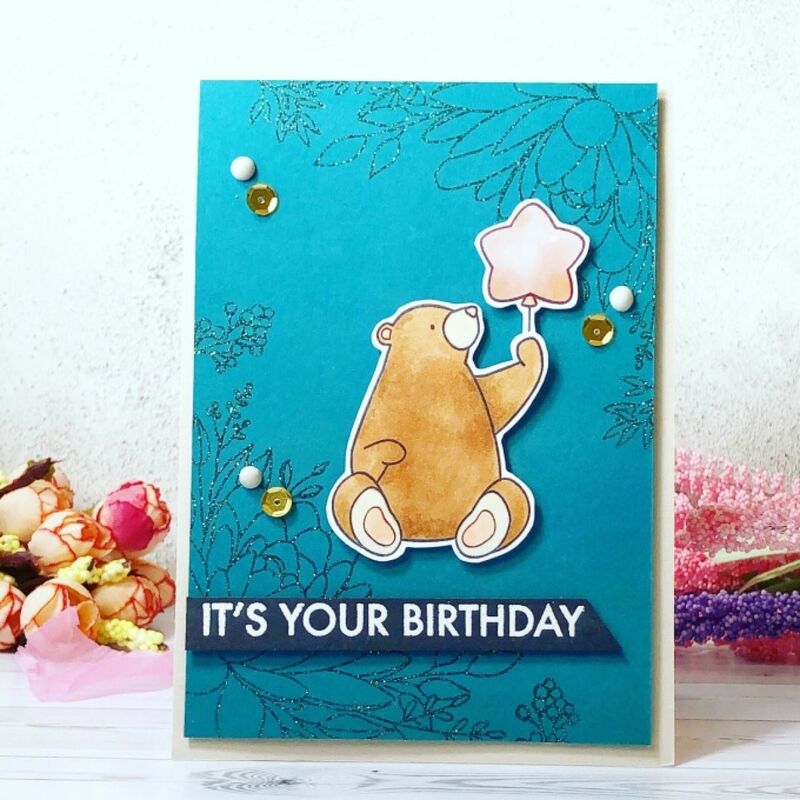 I have a sweet birthday bear card today. To make the card base I trimmed down a piece of Stone Cumbria Colour Card 270gsm to 4 1/8 and scored at 5 7/8. I then trimmed a smaller piece of Teal Plain Card 240gsm. I then inked up the flower stamp in Versamark ink and added the glitter embossing powder over the top. 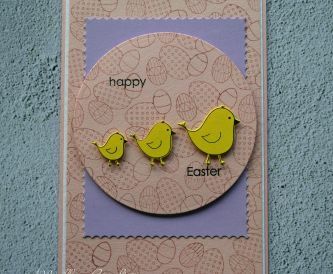 Heat set this with your heat gun and adhere to the card base using Stick it! 3D Foam Tape 9mm. 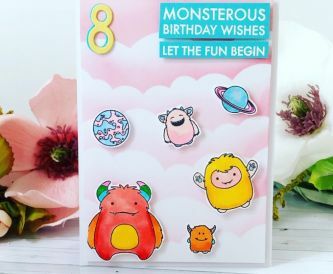 Next I stamped and coloured in the bear and balloon onto some White Card Super Smooth 250gsm and I trimmed these out. 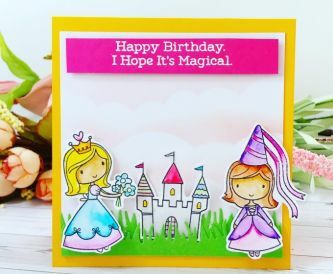 Adhere to the middle of your card using some Stick it! 3D Foam Tape 9mm. Next I stamped my greeting onto a piece of Black Plain Card 250gsm and heat embossed this using white embossing powder. I adhered this to the bottom of the card with some more Stick it! 3D Foam Tape 9mm. To finish the card off I added some Nuvo Drops and adhered some sequins with Anita’s PVA Tacky Glue 60ml. 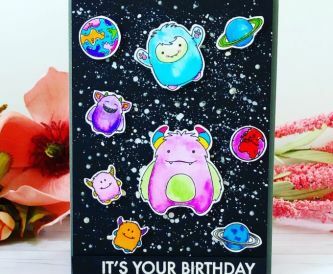 You can colour the balloon a different colour and leave out the flowers for a more masculine card.